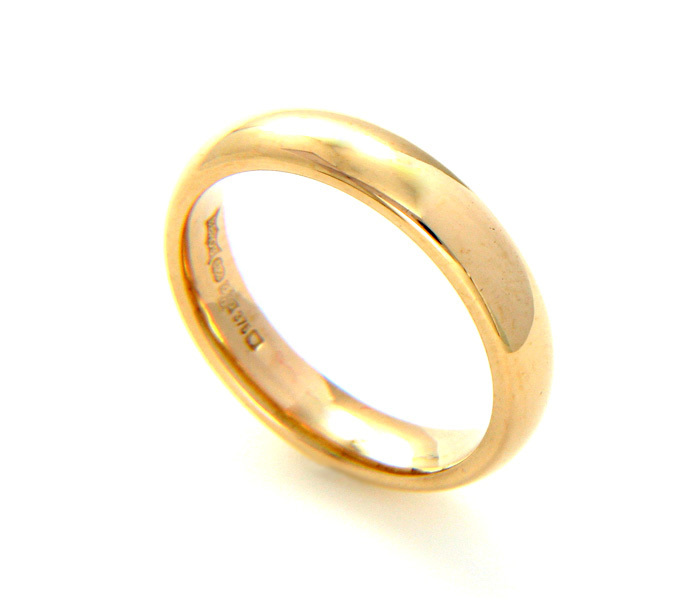 A Medium Weight 9K Yellow Gold Ladies 4mm Wedding Ring. The ring is available in size M. Please contact us if you need any other size. All our Jewellery designs can be customized in any carat and/or colour of gold or in platinum and can be made in any ring size. Please contact us at info@celestelondon.com for any enquiry.